Before we get into what the best mattress topper for back pain is, I want to mention an all too common myth about mattress firmness. Buy an extra firm mattress they said. A hard mattress is best for people with bad backs they said. Well… they were WRONG. According to more recent studies (such as this one), it’s been determined that a mattress of medium firmness provides the best pain relief for those with lower back pain. In addition, an even softer mattress may be recommended for side sleepers. So what can you do if your mattress is too firm? 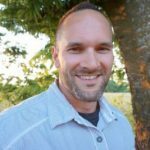 If you’re a back or side sleeper and some of your worst back pain is in the morning or you simply have trouble sleeping through the night because you can’t get comfortable, a softer bed is often the solution. Sure you can buy a new softer mattress with the extra couple grand you have laying around or you can spend a fraction of that on a new mattress topper. The greatest benefit a good quality mattress topper has is that it will immediately lower the firmness of a hard mattress and relieve pain on your pressure points. 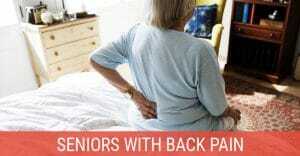 It will literally feel like having a new mattress and may even eliminate back pain altogether in some cases. A mattress topper won’t fix an old sagging mattress and a firm mattress topper won’t do much for a mattress that’s too soft. Forget about softer mattress pads since they are simply too thin to make any difference. Here are our picks for best mattress toppers to help relieve back, hip, and shoulder pain. All are made in the USA and backed by excellent warranties. Need a good pillow to go with it? 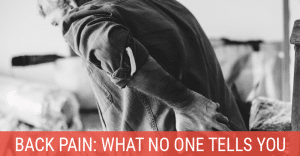 Check out our guide on how to choose the best pillow for back pain. I’m not someone that needs to buy 100% organic or make sure a product is “green” enough. But even if this mattress topper wasn’t so eco-friendly, it would still be our top mattress topper choice. 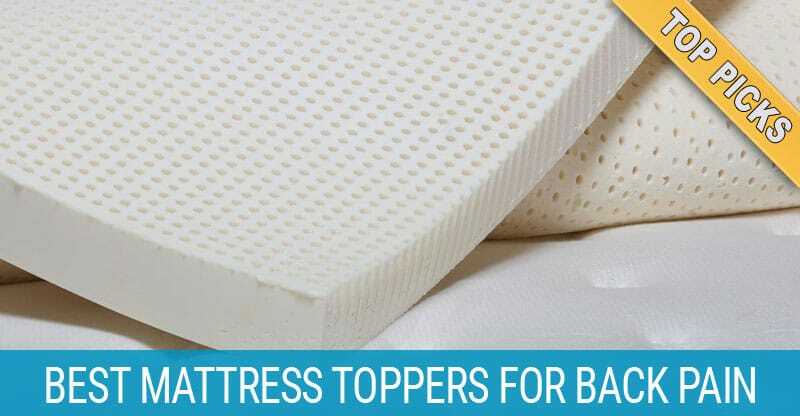 This 2” mattress topper is made up of 100% natural latex which allows you to sleep cooler and avoid the sinking feeling you get with most memory foam toppers. Additionally, it’s naturally hypoallergenic, anti-microbial, and dust mite resistant. 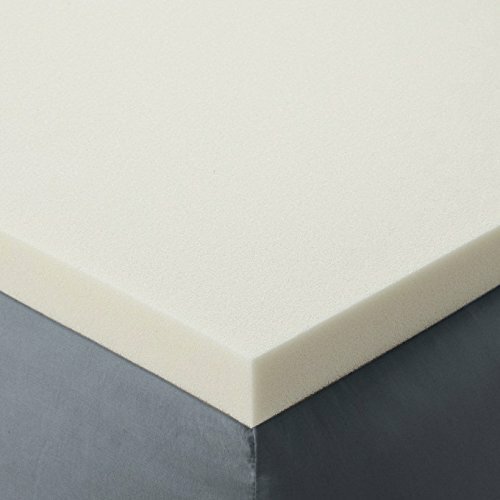 This latex foam topper comes in 6 sizes ranging from Twin to California King as well as 2 firmness levels and 3 thicknesses. The 5.0 lbs/ft of the “medium” is good for all types of sleepers. If you’re a side sleeper with a lot of shoulder and hip pain, the “soft” version (4.0 lbs/ft) would be even. 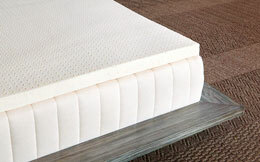 The Pure Green mattress topper is available in 1”, 2”, and 3” thicknesses. The 2-inch is good for most while the 3-inch is better for heavier individuals. Skip the 1-inch unless you’re very petite or it’s for a kid’s bed. 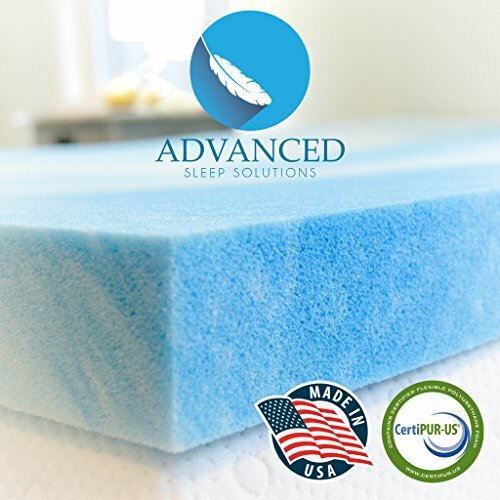 As with any latex foam or memory foam mattress topper, you’ll want to air it out for 2-3 days after removing from its vacuum-sealed package to get rid of the slight chemically smell. 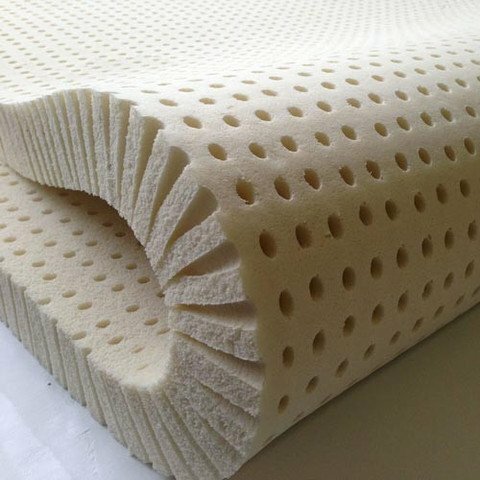 While the Pure Green is one of the more expensive mattress toppers, the benefits of latex foam are well worth it. If you prefer more of the sinking, sleeping on a cloud feeling, one of the memory foam models below may be worth looking at. For back and side sleepers, this gel memory foam mattress topper is another great option. Rated as a “soft-medium” firmness, its 3.3 lbs/ft density is softer than the Pure Green but still offers plenty of support. 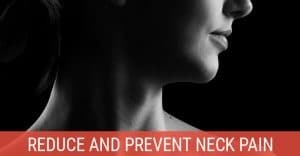 With the lower density you get greater pain relief on trigger points, especially for side sleepers. Stomach sleepers may want to go with a higher density though as less sinking is better for back pain relief. A nice touch is that the topper is one inch shorter on all sides so it fits nice and snug under a fitted sheet. The gel-injected memory foam has a unique open cell structure to improve airflow and distribute heat better than typical memory foam making it cooler to sleep on. While it comes in all mattress sizes, only a 2-inch thickness is available. This is fine for most, but a 3-inch version would be better for larger people. All in all, it’s one of the best values in mattress toppers today despite Advanced Sleep Solutions not thinking about the acronym of their company name. One of the most popular mattress toppers out there, the Red Nomad is a super comfortable memory foam topper that would be considered the softest out of the three here. The 3-inch mattress topper with its 2.5 lbs/ft density is best suited for side sleepers and some back sleepers who have an extra firm mattress. It’s really hard to beat the Red Nomad’s soft “sleeping on a cloud” feeling. For an even more luxurious feeling, go with the 4-inch version. While the lower density visco elastic memory foam doesn’t get too hot, you will most likely sleep warmer than the two options above. Also, because of the low density foam, it may not feel as high-quality as the others since weight is often associated with quality, but it’s the sleep that counts, right? The lower weight does mean it’s much easier to move. While there’s a chemically smell when first unpackaged, it dissipates after airing out for a day or two.